EPOC - Special Event: Alan Weisman, author, professor and journalist to speak at EPOC Annual Dinner Meeting on September 29th - Register today! Special Event: Alan Weisman, author, professor and journalist to speak at EPOC Annual Dinner Meeting on September 29th - Register today! Event sponsorship enables us to offer this program to students and attendees at lower costs. Sponsors will be shown on all event announcements (with logo and link to website) and will be recognized at the dinner meeting. Sponsorship includes one attendee for the dinner meeting. 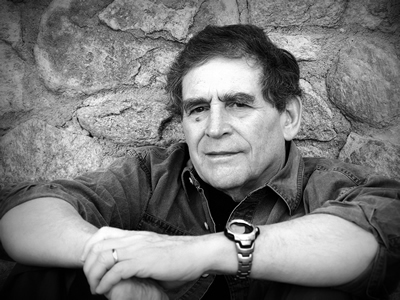 EPOC is pleased to announce that Alan Weisman, award-winning journalist for his recent books, The World Without Us and Countdown, will be the keynote speaker at our annual dinner meeting on September 29, 2015. The event will be held at Wesleyan University in Middletown, CT and will include book signings by the author. 5:30 PM Start: Social time, dinner appetizers, beer and wine and fall signature drinks provided. Formal program begins at 7:15 PM. Google Map - CLICK HERE. Parking is available on any lot at Wesleyan AFTER 5 PM - closest are LOT E (Wyllys Ave.) and LOT T (Washington Terrace). Please consider becoming a sponsor of this event to allow for student attendees and to maintain reasonable cost for all. Sponsors will be recognized at event and on event announcements. College Students: School sponsorships and discounts available. Please contact Seth Molofsky for further details. Alan Weisman's bestseller, The World Without Us, is a masterwork of scientific reporting that shows us humanity's true impact on the environment. Now, Weisman brings us Countdown, a powerful investigation into the chances for humanity's future. One of our most provocative journalists, Weisman continues to challenge each of us to re-imagine our planet—and our place within it. What can we realistically do to live in balance, not conflict, with the rest of nature? A flashpoint of controversy, debate, and, most importantly, hope, The World Without Us was named a Best Book of 2007 by TIME magazine. How soon would, or could, the climate return to where it was before we fired up all our engines? Could nature ever obliterate all our traces? In his talks, Weisman explores and answers these questions. He shows us how long our infrastructure, our plastics, our greatest works of art, and the carbon in our air would stick around if we were gone. Despite his fascinating post-apocalyptic scenario, he does not suggest that the planet would be better off with us gone. Rather, by letting us view our world apart from human distractions, he gives us a unique, and necessarily fresh, perspective on our planet—and opens a conversation about how we can lead fully engaging lives without destroying the natural world in the process. 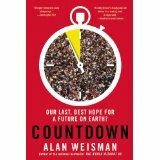 Weisman's new book, Countdown: Our Last, Best Hope for a Future on Earth?, is a gripping look at humanity's future. By vividly detailing the burgeoning effects of our cumulative presence, Countdown reveals what may be the fastest, most acceptable, practical, and affordable way of returning our planet and our presence on it to balance. Weisman again shows that he is one of the most thought-provoking journalists at work today, with a book whose message is so compelling that it will change how we see our lives and our destiny. An award-winning journalist whose stories have appeared in Harper's, Discover, and on NPR, Weisman is a senior radio producer for Homelands Productions. The World Without Us was also named the best book of 2007 by Entertainment Weekly, and will soon be a major motion picture. EPOC is grateful to the following sponsors for their generous support of this special event (click on logo to link to sponsor website).